One of my favourite restaurants back home is Olde Hansa, the Medieval Restaurant of Tallinn. The name highlights that Tallinn used to be a member of the Hanseatic League, a medieval network of trade towns in the Northern Europe. Olde Hansa is a fun and wonderful restaurant in a huge medieval warehouse, just off the Town Hall Square in Tallinn's Old Town. 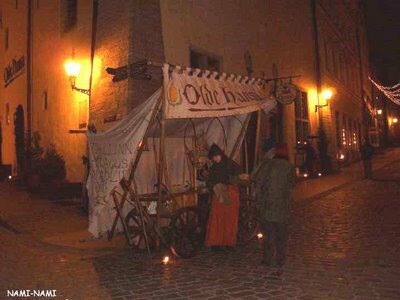 I like the candlelight medieval atmosphere, I like the music, I like the food (their thick mushroom soup is divine! ), their slightly OTT medieval pub style service. 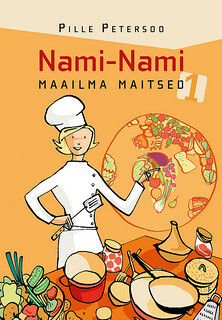 I simply love the place and it's one of the restaurants I always try to visit when at home. Few years ago they started selling spicy sugared almonds outside the restaurant (above), and public events around the town. These have become a huge success both among the numerous tourists as well as locals. The almonds come in small paper cones, and cost just over £1. Not bad at all for something so delicious. 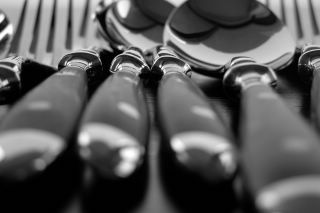 I've been thinking of recreating these at home - not because I wanted to save the money, but simply out of culinary curiosity. And then you can't get Olde Hansa sugared almonds in Edinburgh anyway.. I spotted a recipe for spicy sugared almonds on a Finnish website a while ago, and tried them earlier this week. I'm very pleased with the result. The Olde Hansa sweet masters may use a slightly different amount of various spices, but I confidently say that my spicy sugared almonds were at least as good as theirs! Mix sugar, spices and salt in a bowl. Whisk the egg white with the water, add to the spice mixture together with almonds. Mix thoroughtly, then spread the mixture on a cooking tray that has been covered with parchment paper. Roast at 150˚C for about 30 minutes, shaking the almonds every now and then, so they wouldn't stick too much to the paper and would cook evenly. 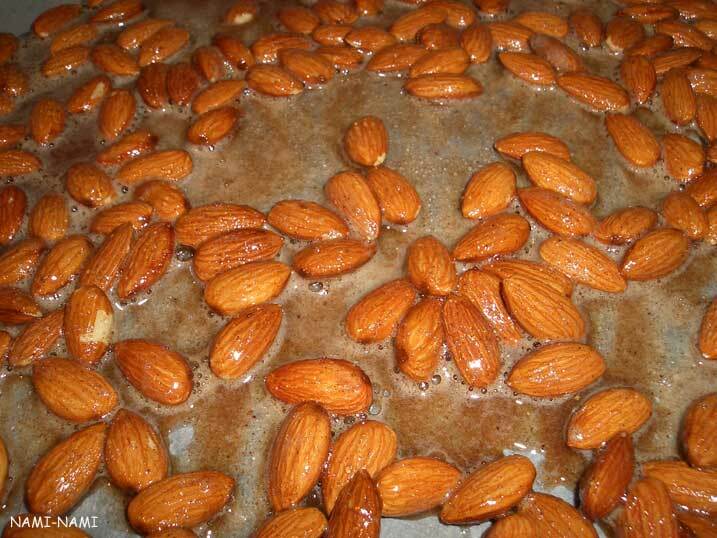 The almonds are ready when they are slightly golden brown - do not burn them! Let them cool a little and then start nibbling! PS I tried the recipe with blanched almonds as well, as suggested in the original recipe, but I must admit I prefer using non-blanched almonds - they seem to have more taste and bite to them! Oh Pille, I'm going to love these, looks/sounds delish! I agree with you that non-blanched ones have more flavour. These sound delicious! Can't wait to try them with cocktails on Xmas Eve! Keiko - well, you should try making them then:) Re: blanched vs non-blanched I definitely agree with you. Paz - do you think you gonna give these spicy sugared almonds a go? I hope so! Rorie - did you try them on Xmas eve? Hope you liked them!!! I got back from Tallinn two months ago and I've been craving those almonds - I can't believe you have the recipe - thank you! Thank you so much for the recipe! 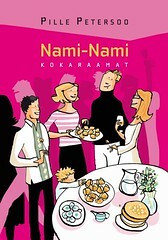 I was in Tallinn end of April and I brought some packets of almonds home, they were so delicous. And yes, we loved the Olde Hansa restaurant (and the shop) and can't wait to go back. Thanks, i was there this weekend, 24 - 27 of oct, and just ate my last purchased almond, so i had to google it right away and found your recipie! Thanks. Talinn is a beautiful city with delicious food and beer! I love your blog first of all. 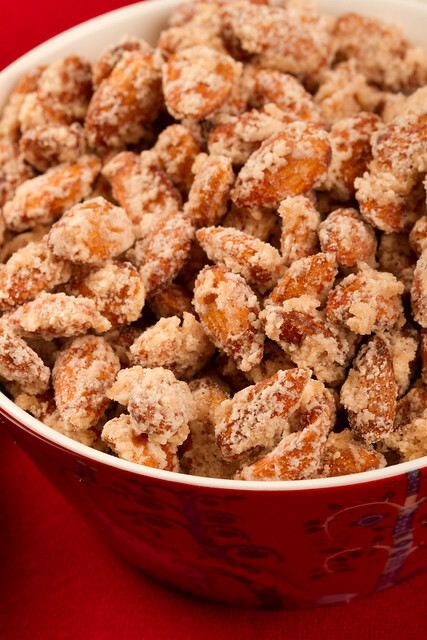 Secondly, I must tell you that I live in Hungary and since I was a kid (10 years ago) we've allways had these caramellised almond and any kinda nut seller on the streets when it gets cold outside and we have the Christmas feeling around. They take it to paper and have many different flavours and nuts, the variations are just endless. I recommend everyone to try it, these are the best with some mulled wine! I just visited Tallinn in July, and became obsessed with those almonds too! Wish I could post the spice pic. I just made lots of almonds to take to all my New Year's parties. Yumm!! Looks absolutely delicious! I reckon I could eat about 100 of them.